First published in 1982, this book aims to examine the role that ruling military governments have played in African development. 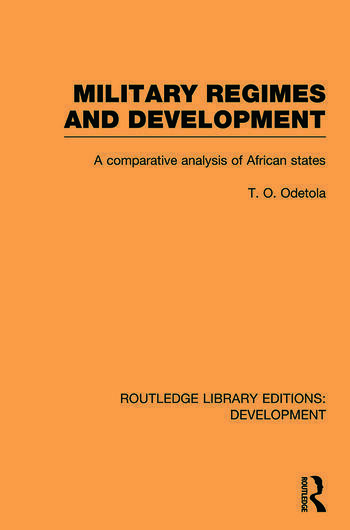 Dr Odetola discusses military organisational values and skills in modernisation and argues that the evocation and application of these values and skills depends on the character of the leadership of individual ruling juntas, their degree of professional training, proximity to civilian society and so on. He also investigates the relationship between the ruling military and existing social classes.